Thank you Mike for sharing your insights and talents! You made me a better LO today because you cared enough to share your valuable content! Great podcast on increasing sales! 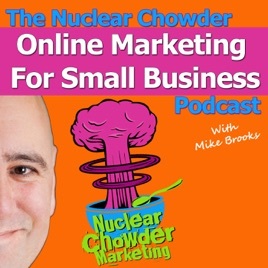 This is one of the best podcasts about online marketing you'll listen to. There's no marketing hype, no tricks and no fluff. You're going to get good stuff here that you can actually use, ideas you can try and get results from. Mike wants businesses to succeed and he proves it in every word he says. Put this at the top of your listening list! Been listening to your show for a while and finally getting around to giving you this review. Keep the great content coming!